When cosmetic brands release new products to their retailers, effective training for store associates is the key to generate successful sales. In the cosmetics world, product demos are critical to teaching consumers proper application and technique to achieve the best results. 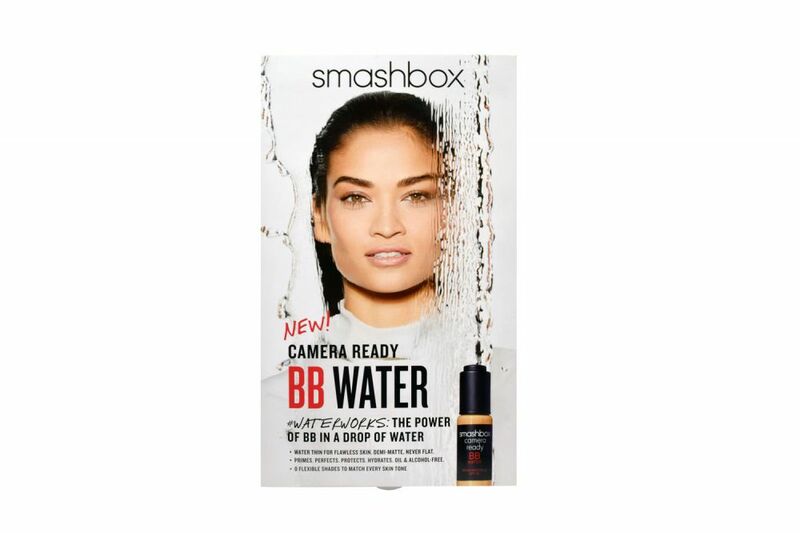 When launching its new “Camera Ready BB Water,” Smashbox needed a creative product demo kit for its retail partners to ensure for the successful launch of a new brand. 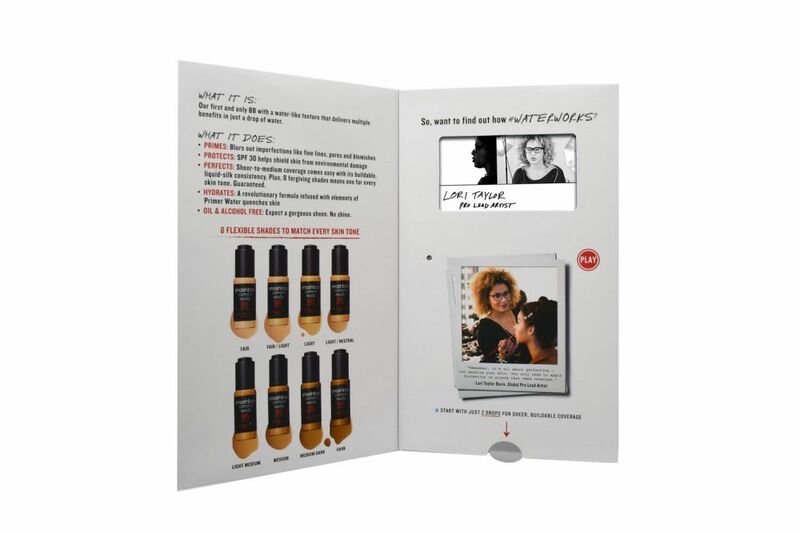 Following that critical communication directive “Show, Don’t Tell,” Americhip partnered with Smashbox to create a custom specialty package that showed store associates exactly how to apply the new product to achieve optimal results. Americhip’s paper engineers and designers developed a sleek product training kit that opened up to reveal our proprietary 4.3” VIP ® Technology. Using famed makeup artist, Lori Taylor Davis, Smashbox was able to provide a compelling video demonstration where Ms. Davis uses the new product on a runway model. The kit also included a slideout drawer to hold product samples. 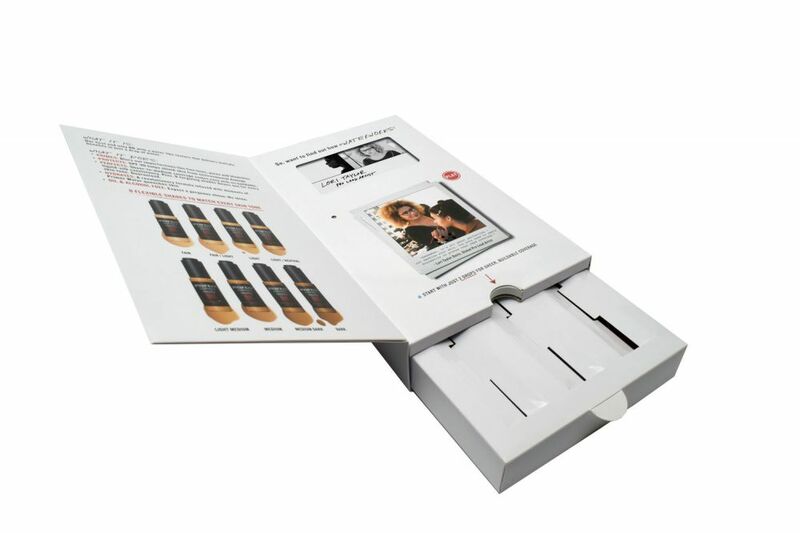 With this innovative Product Demo Kit, store associates have all of the training and product they need to serve as brand ambassadors and skillfully present the product to shoppers. Turn to Americhip for innovative packaging solutions that better train and educate your channel partners, brand ambassadors and store associates.